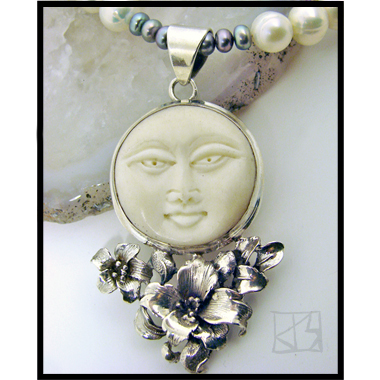 A serene and benevolent moon goddess, carved by Balinese artisans, rises above exquisite and intricate sterling Thai silver lilies. 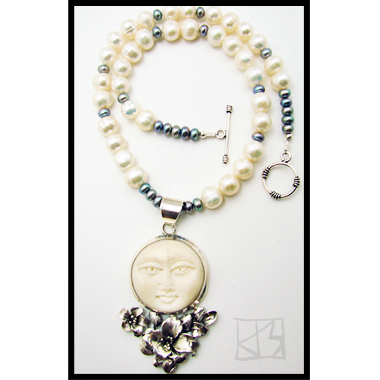 This large pendant graces a strand of natural iridescent white pearls, accented with smaller peacock-colored pearls, secured by a sterling Bali silver toggle. 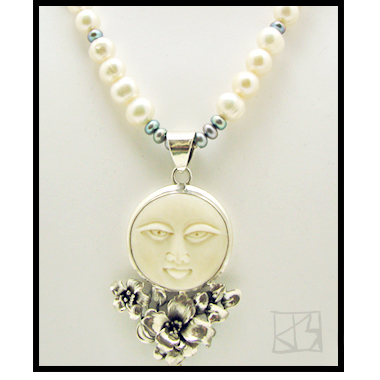 An extraordinary treasure for an extraordinary woman with an inner lunar glow!